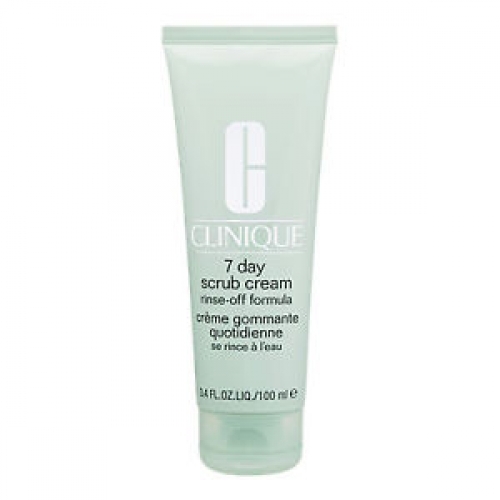 Clinique's 7 day scrub cream de-flakes, polishes, clears pores, refines and helps lessen fine lines. 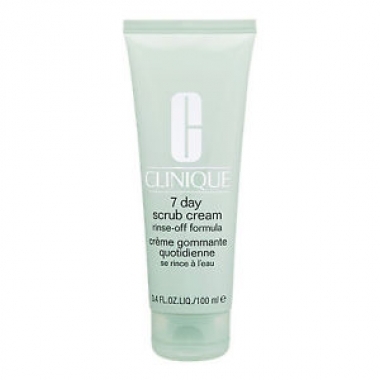 Use once a day on a make up free face, massage with finger tips in a circular motion on face until cream turns clear, avoiding eye area. Wipe off with tissue or rinse with water.